In the fields of plant and process engineering slight flow improvements can make a significant contribution to enhance the efficiency of the process. Already in the phase of design it is possible for our engineers to optimize flow processes through virtual prototyping and to guarantee efficiency. CFD simulations enable the reduction of production and working costs as well as economy of time and quality intensification. In many cases a precise flow analysis leads to a reduction of maintenance requirements and avoids expensive shut down periods. We are experts in realistic modelling for your application. We establish a virtual model with ANSYS Fluent on which the CFD simulations are being carried out. Through including different influences from thermodynamic or chemical reactions, your application can be simulated very close to reality. 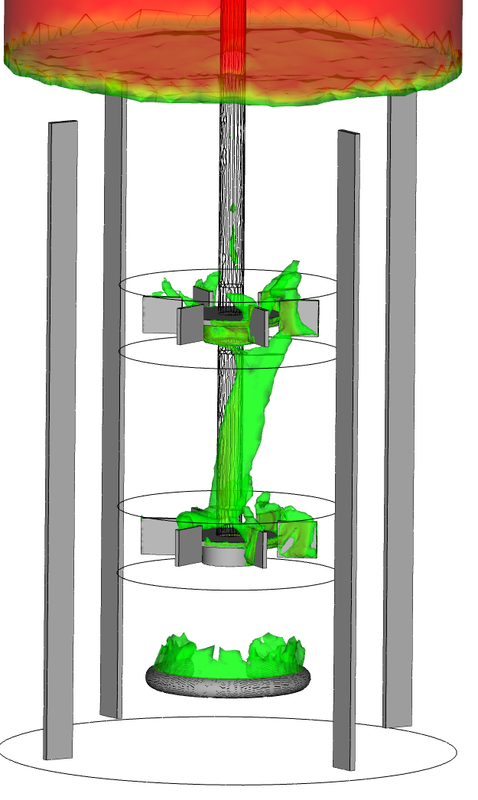 Simulations of separation, filter calculations, blend and equal distribution belong to our expertise as well as challenging multiphase flow situations and dew point calculations. Successful realized projects in computational fluid dynamics were in the fields of filter design and calculation as well as in the fields of heat exchangers and particles. 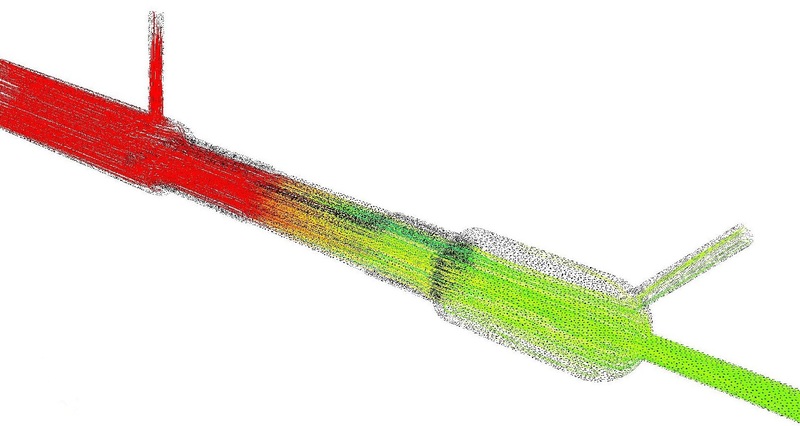 We would like to provide you with CFD consultancy for your specific application to show you the possibilities of a CFD analysis and which benefits and cost savings you can gain. In the simulation of combustion processes we have to consider not only fluid dynamic processes but chemical processes as well. This requires a profound knowledge of all these processes. Modelling chemical reactions in combustion processes helps to create simulations of this processes. The CFD simulation supports in the process development, in the combustion management and in the planning of the firing systems. 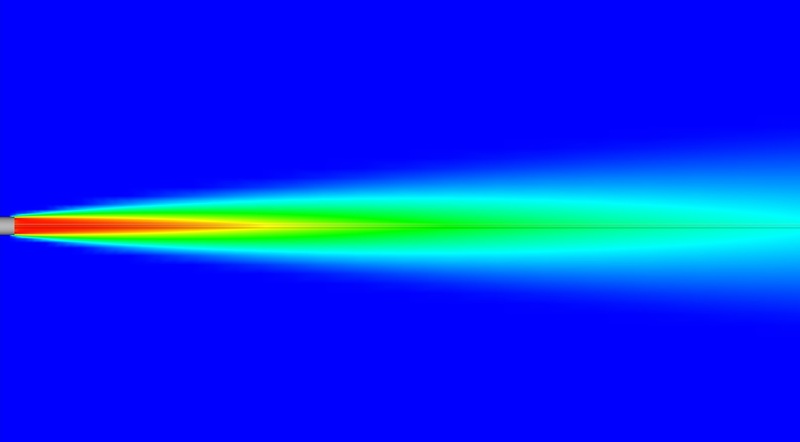 As a consequence the development time is shortened and through flow simulations optimizations are made and the combustion process can proceed ideally. The use of flow simulations leads to a reduction of technical risks and to a more efficient way to design combustion plants. Another advantage of using CFD simulations is the exact, fast and cost-saving project planning and the reduced time of bringing the plant into service. Reduced emissions and a better operational availability are also arguments for a flow analysis. Additionally a fast and reliable error analysis helps you to improve your existing combustion plant. We would also like to help you with simulations of heat exchangers, filters or particle separations.